All over the world, there are a handful of obvious hip-hop hotbeds: New York, Atlanta, Chicago, London, to name a few. Then, there are the not-so-obvious ones. For instance, there’s a budding presence of rappers in Milwaukee (IshDarr, Wave Chapelle, Bankx) and dozens of promising names have turned up in Toronto after OVO gained recognition. 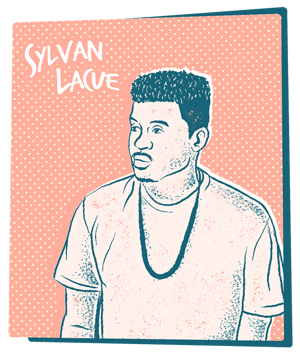 And, contrary to popular belief, Miami is the latest city whose rising rappers are catching our attention. After dropping out of high school in the tenth grade, a young Pouya took a busboy position per his dad’s request. 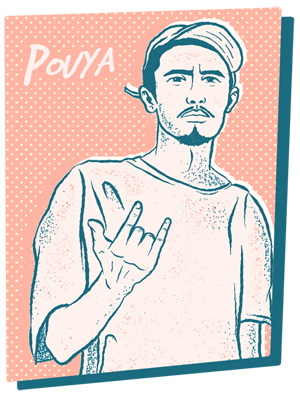 However, he quickly dropped the job to pursue rapping, and though that was just a few years ago, Pouya has amassed over 180 thousand SoundCloud followers, with nearly all of his singles racking up millions of plays. Still, the title of his latest project sums up how Pouya feels about his process—he truly is the Underground Underdog. 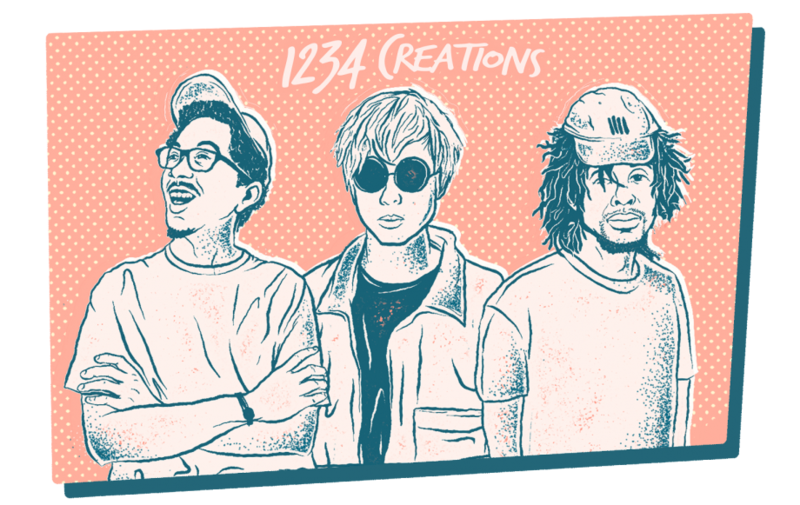 Birthed in Miami and since spread to cities all over the US, 1234 is a collective of artists, DJs, designers, photographers, and intellectuals who use spiritual understandings to guide their conscious contributions to the creative community. They host 1234 World, a station on Dash Radio that hosts contemporary mixes, throwback jams, and insightful talk shows. 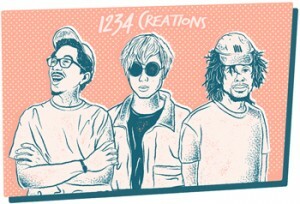 We’re big fans of what they’ve done so far, and with that many forwardly thinking minds coming together, we can only imagine what’s in store for 1234. 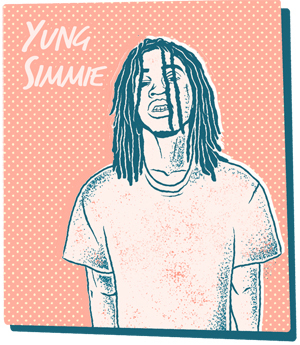 Perhaps best known for his collaborations with fellow South Florida rapper Spaceghostpurrp, Yung Simmie hasn’t blessed us with new sounds in a month or so, but that doesn’t stop him from being one of our favorite lesser-known artists from MIA. He’s also tapped Miami’s Denzel Curry, whom Simmie credits as the first person to recognize his talent, and who was involved in Raider Klan along with SBP before the collective diminished. But Simmie has established a growing following of his own, who are in luck because—according to his Twitter—we’re entering Simmie Season. 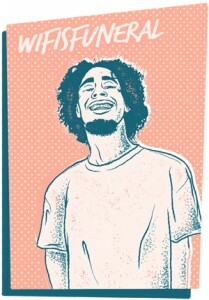 Based just outside of Miami, in Palm Beach, wifisfuneral’s recent tape Black Heart Revenge positioned him as one of the most promising rappers out of the Sunshine State. His lyricism traverses dark themes on “Fog in the Mirror” and “Life After Death,” but his singles are digestible enough to be enjoyed by larger audiences. Keep an eye on this one—he’s only 18 and has a promising future.